The Pines At Bousquet is a condominium community that is central to all the cultural and outdoor activities that The Berkshires have to offer. This immaculate 3 bedroom 2-1/2 bath unit is adjacent to ski and hiking trails and a short walk to The Berkshire West Fitness Center. The $325 per month HOA fee covers the cost of landscaping snow removal. The HOA is responsible for any repairs from ''the studs out'' ie roof, siding etc. EXQUISITE & GRAND TOWNHOME IN A LOVELY COUNTRY SETTING WITH MT. VIEWS! 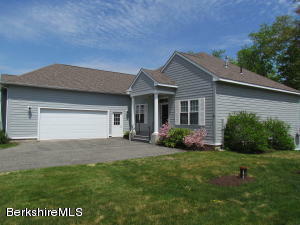 Expansive and pleasing three level floorplan, in an IDEAL central Berkshire location! Minutes away from both Onota & Pontoosuc Lakes, Theaters and Hospital. Go ahead and host the holidays in this spacious, open & bright home. 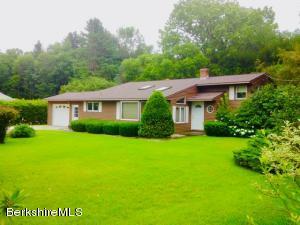 Offering 4 bedrooms, 3 1/2 baths, generous living area with gas fireplace, lovely screened sunroom with private, Mt views. Fully finished walkout lower level designed for entertaining. Attached 2 car garage. Quality construction throughout! Don't miss out on this competitively priced upscale townhouse. Ideal full-time living for local professionals; or an exceptional vacation home close to skiing, lakes, theaters, amazing restaurants & more! Includes full-coverage WiFi router. HAPPY NEW YEAR! First time on the market! 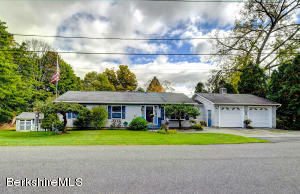 Lovingly maintained Ranch, situated on almost a half acre w/ pristine, flat lawn. Located in sought after quiet neighborhood within a 7 minute walking distance to village of Lenox & Kennedy Park. This delightful Ranch has 2 bedrooms & 2 full baths on first floor, with a bonus room & half bath in lower level. The first floor master suite is spacious and roomy! Open and bright living room with gas fireplace & hardwood flooring. A generous kitchen w/dining area, and the absolute Sweetest 4-season sun room to relax and unwind.! The lower level is structured for gatherings & entertaining.! But wait, there's more, the attached oversized 2 car garage is a dream.. plumbed & ready for propane heat. Have you been waiting to call Lenox home?.. This is it.! MILLION DOLLAR VIEWS WITHOUT BREAKING THE BANK.This 1804 square foot first floor living, 3BR 2 full bathrooms is one of 38 detached homes in a condominium community. The Great Room is stunning highlighted by the Patagonian Cherry wood. Floors. Ashmere Landing has it all...mature and plush landscaping, two tennis courts, swimming pool and best of all a private beach for storing and launching kyacs and canoes. LUXURY LIVING FOR LESS..FOR SURE!! Super Sweet, Cozy and Charming! This lovely contemporary ranch is situated on a half acre of flat land with a beautiful, spacious yard, huge storage shed, and gorgeous views of Oct Mt.! Private and quiet. 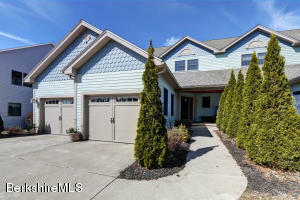 Enjoy this ideal Lenox location, with mountain views front & back! The Kitchen is the cutest, with brand new appliances! Newly finished original, gleaming hardwood flooring throughout! Unique open balcony, with built-in flower boxes for your favorite plants to bloom! The Living room is open, spacious & bright with skylights above and pellet stove that adds to the romance and coziness of this home; while heating the entire house & providing fuel efficiency. 3 nicely sized bedrooms w/gleaming original hardwood. Finished lower level family room with wood burning brick FP! Attached garage.